This is Anna Gerber’s third and final guest blog for us. She’s been writing about delightful new storytelling projects that have caught her eye. Anna is a Special Projects Creative Director who knows a thing or two about making stories, be they digital, on paper or brickwork as co-Founder of Visual Editions and Creative Director of just launched Editions At Play. So what or who is Karen? Karen is My Life Coach is an app. It’s an app dreamed up by Blast Theory (based in Brighton, England). 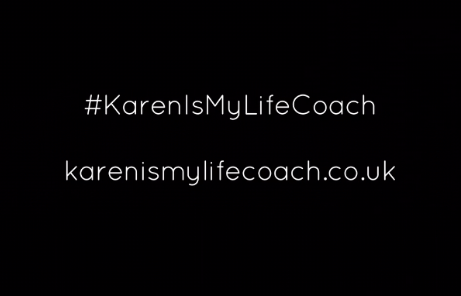 Karen is a fictionalised character, she is a made up life coach that asks you (the client? patient? user?) an awful lot of questions in a series of eerily realistic life coach session environments. The app is smart. Karen is smart as she amasses data about you and your behaviour in order to know how to respond. She’s like an interactive version of a cross between the Spike Jonze film Her and the UK Channel Four TV series Humans. The thing is Karen is not a very helpful app. She is not a tool. Karen is unlikely to support you and guide you in a way that you feel you might want or need. But here’s what Karen will do: she will get you to question how freely you are prepared to be open and honest and intimate with your phone. She might even make you think twice about big data and how companies and governments collect information about you unknowingly all the time. 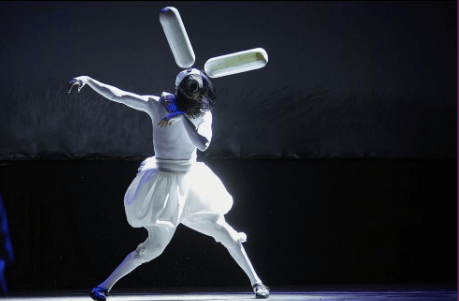 Powered by the rather thrilling intersection of theatre, art and technology Karen is smart, here is an app that makes a gentle and poignant cultural interrogation and it’s even funny if you want it to be. In an unnerving way. One things for sure: if you’re like me, it might make you feel wary of my phone. At least for a couple days. And that’s probably a good thing. Artist Daniel Rozin creates fascinating interactive installations using sensors and motors that re-adjust a series of objects to reflect whatever is standing in front of them. The mirrors are different shapes, sizes, and colors assembled with a variety of materials including wooden pegs, plastic spokes, and pieces of trash to create unique patterns: one resembles a lovely basket weave, another made of wood cylinders appears reflective like an amalgam of shiny pennies. The secret to the mechanics is the hidden camera behind each composition that feeds what it sees in real-time to a computer, which translates the image into a video signal. Rozin’s custom designed software then instructs each motor to move the panel it controls accordingly, resulting in a mirror-image of the subject. This summer art lovers will have a chance to interact with the installations in person as part of the Digital Revolution exhibition at London’s Barbican. Pushing beyond our everyday notions of technology, more and more designers and researchers are working to design multisensory experiences that allow the user to not just see, but feel. One such example is ‘sensory fiction,’ a new wearable device and book cover MIT researchers have developed to customize the reading experience to the individual. The innovative apparatus has the ability to change the user’s heart rate causing temperature changes and other physical sensations. The book’s cover is outfitted with 150 programmable LEDs that create ambient light based on the plot’s mood and setting. In another wearable experiment, Sensoree created a sweater that projects your mood as a light show. Without a word from the wearer, the sweater can communicate a range of emotions – from tranquility (green) to excitement (purple). Flowers that don’t necessitate water or sunlight? Digital artist and interaction designer, Daniel Brown, grows flowers from bundles of code. His roses, orchids, and immaterial blooms are computer-crafted creations generated by the manipulation of digital plant genomes. These fantastical flowers grow on screen in real-time, documented by a camera run via matrix manipulation. Brown’s visionary designs have been commissioned by Art Fund’s RENEW program at the D’Arcy Thompson Zoology Museum and the BBC Climate Change website. The newest add-on for your smart phone, Japan’s Scentee, moves beyond the visual and taps into users’ olfactory sense. Plugging into a phone’s earphone jack, the orb-shaped device can be programmed to disperse different scents throughout the day. Replaceable cartridges allow the user to choose from a multitude of scents to suit their mood or environment: coffee as you wake, lavender in a crowded subway, or mint as a mid-day refresher. The latest scent in the pipeline? Bacon. In other fragrance news, the Ophone, a small cylindrical gadget designed by Le Laboratoire receives encoded recipes through a server that determines what custom scent it emanates. The current prototype generates up to 320 different smells. Two New York City initiatives are creating spaces that foster collaboration and design discourse. The American Design Club was founded to support the work of emerging designers. By creating a platform for sharing ideas, resources, and inspiration, the club offers designers across the nation a virtual space for connection and cross-pollination. Meanwhile, The New Museum has announced their plans for a creative incubator that hopes to challenge traditional notions of the art museum and will house more than 60 start-up companies and entrepreneurs. To secure a place at 231 Bowery, prospective participants will have to be selected by committee. One of the first to announce their occupancy is Columbia University’s Graduate School of Architecture, Planning, and Preservation’s research lab Studio-X.